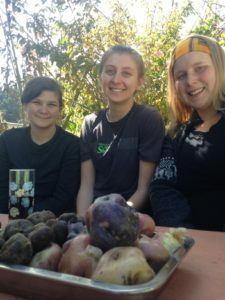 Before traveling to Bolivia I had heard that most goods were obtained through an informal trade system and had friends mention the Witches’ Market. However, I was unaware of how extensive the system of open-air markets was throughout the city. One of the first shopping experiences I had was at a supermarket buying bottles of water. The supermarkets were more like a small grocery store or a drugstore is in the United States, rather than a huge covered warehouse with any item you might need. Most of the shopping in the city was centered at these open-air markets that sold everything from fruits, vegetables and fish to clothes or sporting gear. The informal trade was everywhere. 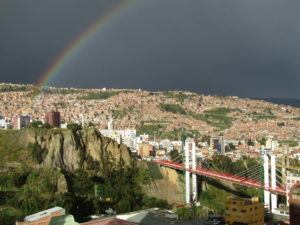 There were Easter candies and palm leaves being sold in St. Francis Square, women with baskets of salteñas or carts of fruit in the morning, piles of sweaters and clothes at the Antonio Jose de Sucre Square, and soccer cleats and camping gear in the El Alto market. I asked my family if there was anything I could bring them back from La Paz before leaving. My mom showed me a picture of a cholita in extravagant clothing and asked me to bring her back a large layered skirt similar to the ones in the photo, which I later learned were called polleras. I didn’t see any polleras for sale along the streets on the way to our other destinations or at the Witches’ Market so I asked one of our Spanish teachers in the morning as well as one of the vendors at the Witches’ Market where to find these skirts for sale. I was told about another market a few blocks uphill from the Witches’ Market. We walked uphill to find a market with stall after stall of vegetables, meats, fish, and bakeries. We continued to walk through the stalls looking for the polleras until asking for directions and learning the market was separated into categories and the skirts were in the opposite direction of the vegetables. There were two stores across from each other with polleras displayed from the ground to the ceiling of the small open shops. There were different styles of polleras; some had layers or lace and others were simple, with solid colors. I learned that layers can signify that a woman is in a relationship, and that showing the lace of the underskirt can signify that a woman is single, although these rules are not strongly adhered to. I chose a layered floral skirt for my mom, which I unfortunately have to tailor myself since I purchased it during the holiday, holy weekend, and the tailor wasn’t working. The pollera will make a wonderful Mother’s Day gift this coming May! It was impressive to see the ruins of the civilization of Tiwanaku. The structures were surprisingly advanced and intricate, and took a long time to complete. The people were able to carve in perfect symmetry and with 90 degree angles. The stones of the buildings were carved so exactly to one another that there were no gaps between them. The modern reconstruction of some of the walls was less perfectly carved than the original stones. Even some carved indentations in the stone were perfectly square: the sides and bottoms were at all 90 degree angles. Some of the carvings were practical, but most were for religious reasons. My favorite part was that many Aymara people still practice the ancient ceremonies that the people of Tiwanaku did. This was, and still is, a sacred place to them. 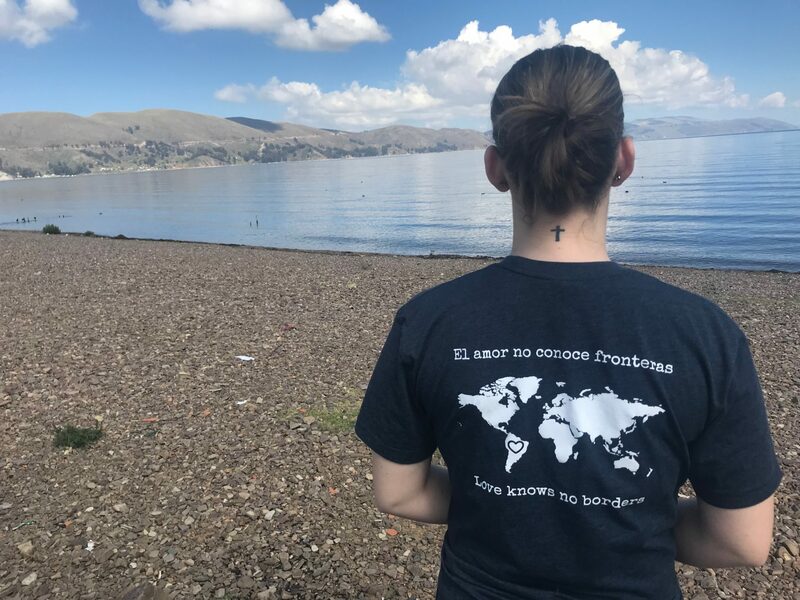 This made me feel more connected to the indigenous peoples of Bolivia. Seeing their history, the roots of their religion, helped me to better understand them. 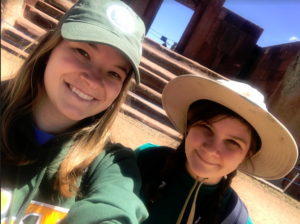 They had carvings of faces, and not all of them are what we consider to be Bolivian today. 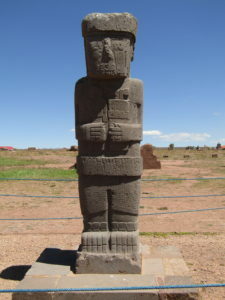 Represented among the carvings were faces of African and Asian origin, telling of the diversity of Bolivia even back then. We toured ruins of three temples: upper, middle, and buried. They are representative of the three worlds: the upper world (heaven), the middle ground (the world we live in), and the underground. Everything circled back to their beliefs. 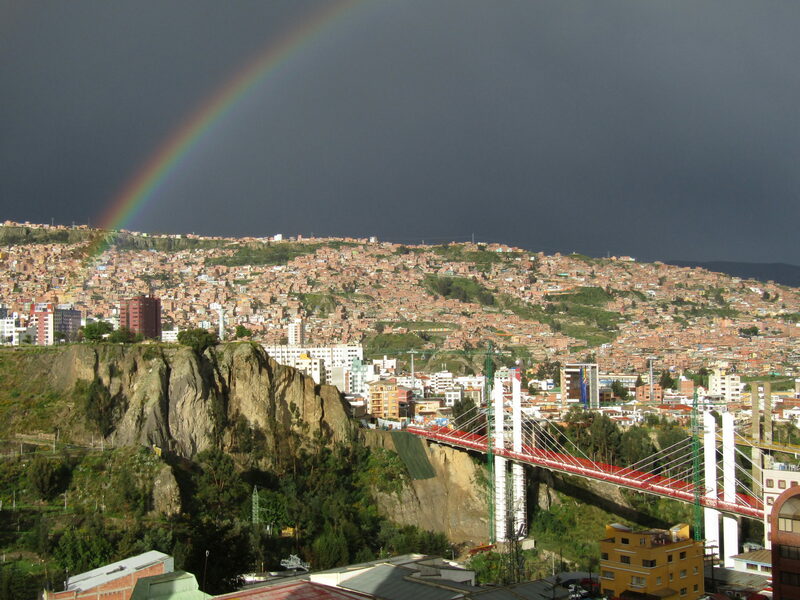 Even the shape of the pyramid (upper temple) was representative of their Andean cross. We had an Aymaran tour guide, and hearing him talk about his connection to the temple today is something difficult to put into words. 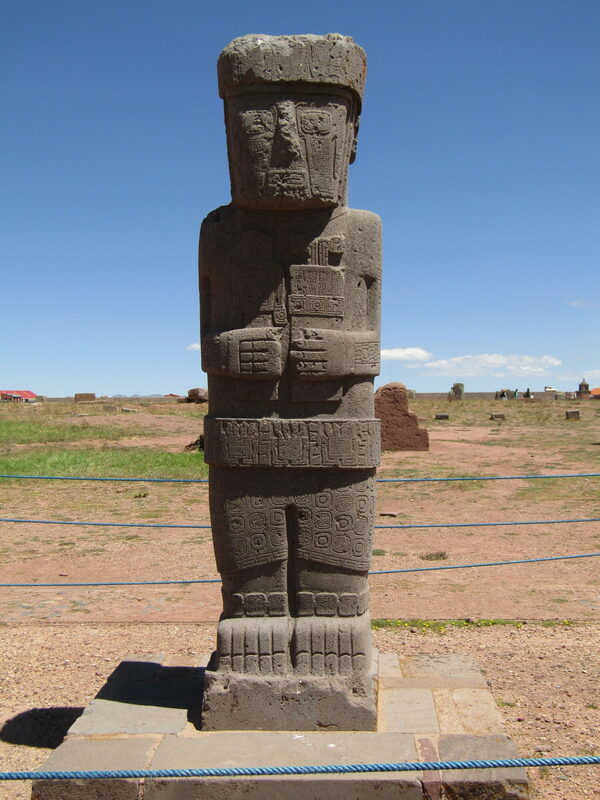 He was able to bring us even closer to the culture of Tiwanaku through his explanations of his culture, his beliefs. The religious ceremonies practiced in Tiwanaku are ones he still celebrates to this day. 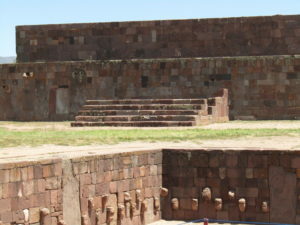 The temple of Tiwanaku even has a reconstructed altar that they use nowadays for ceremonies. The largest ones are at the equinoxes and solstices. Overall, I was impressed with the dedication of the people of Tiwanaku to their religion. The magnitude of the temples and carvings are a testament to depth of their faith.